It's always FUN to find interesting INSPIRATION when I'm out and about! This display promoting the new Harper Lee book (which I reviewed here) was definitely attention-grabbing. 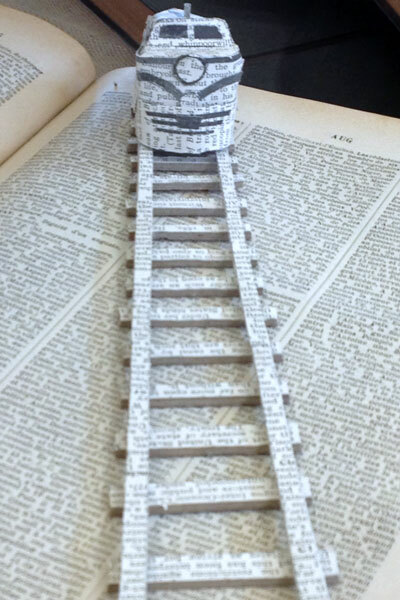 I really like how the train and track and tree are displayed on an open book, but the most intriguing part of this display is the fact that all those pieces are made from book pages! I found another FUN book-related display in the children's section of our local library. 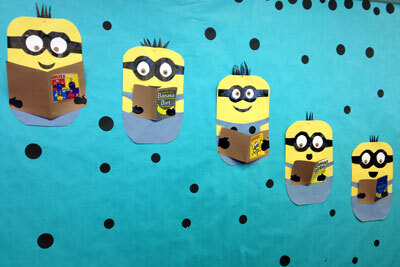 It's perfect that the Minions are all reading books - it was at the library after all. Of course, this book title totally made me laugh out loud. 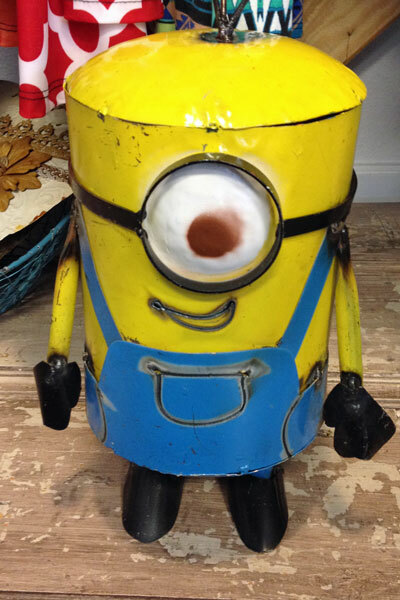 And just for FUN, here's one more Minion that was standing guard at a cute boutique. Have you found any crafty INSPIRATION while you were out and about lately? 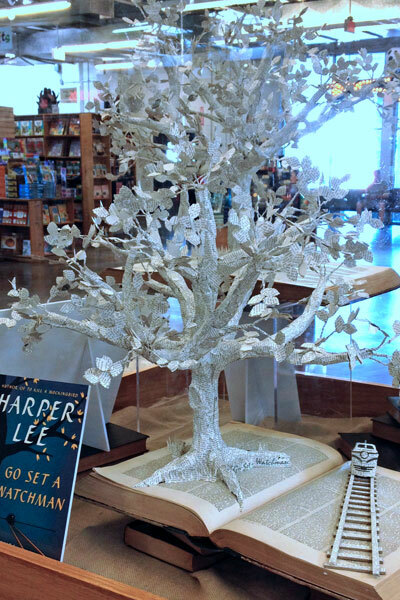 The book tree is stunning. I can't even begin to fathom how many hours of cutting and pasting went into creating that tree sculpture - it's fantastic! I haven't had time lately to be "out and about" looking for inspiration. Oh my, how wonderful is that tree and train track! 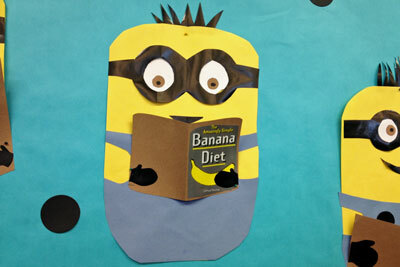 You have brought us some very inspirational things... and the Minions are super cute :). Oh that tree is fantastic!! I love the tree. 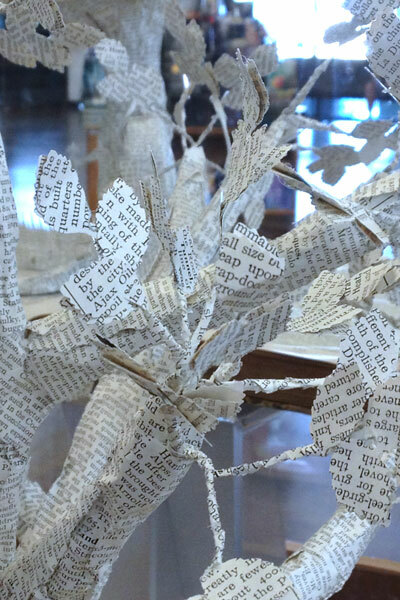 I always find that type of paper art fascinating. As for the minions, they always make me smile. 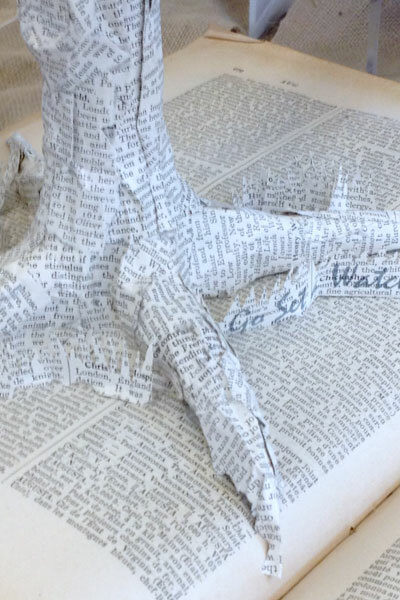 The book pages sculptures are amazing! Years ago I saw a paper sculpture exhibit in a museum in New York City. I've never forgotten it, and am still incredulous when I think of what it must take to create such things. Wow! That train is amazing.